L'Express - Restaurants & Cafés in Amsterdam. 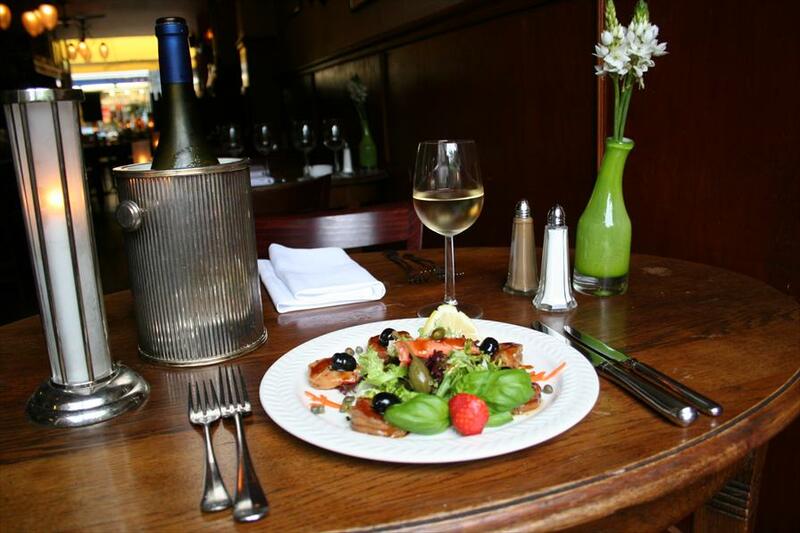 Quality restaurant L’Express will serve you a great variety of appetizers, entrees and desserts. Think of beautiful carpaccio’s, marinated prawns, beef, lamb chops, musterd sauce etc. Just to name a few. Have a look at the website. There is a 24,50 euro three course menu. Bread and butter and a decanter of water are free. If you want more of this, it’s no problem! Besides many French wines, there are wines from Spain, South Africa and Chili. French kitchen. Reasonable prices, especially for the top quality meals. 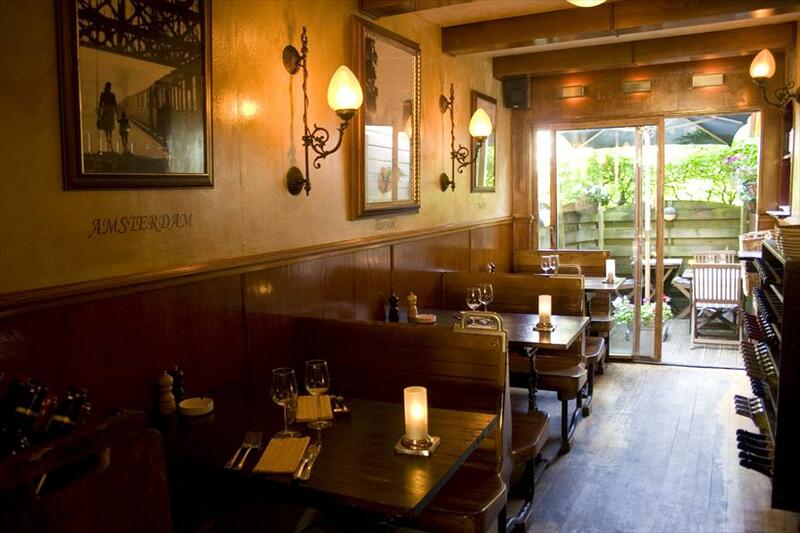 Because of its location, L’Express is also a great place to have dinner after visiting De Stopera or Theater Café. Both are very close, as is the Rembrandtsplein. Casual, 20s and French atmosphere, including the background music. The ambiance is set by the theme, Orient Express. References to this luxury train are everywhere, such as pictures of the time tables, luggage racks with old suitcases, old school phones and gramophones etc. The service is great, thoughtful and hospitality is important here. When the weather is nice you may eat on the patio, in the beautiful quiet garden. Make reservations by phone or e-mail. Up to 25 people. The owners have always worked in the restaurant business and opened this place in 87.